Cold formed steel trusses are typically used in cases where a sloped roof is desired and non-combustibility is needed. 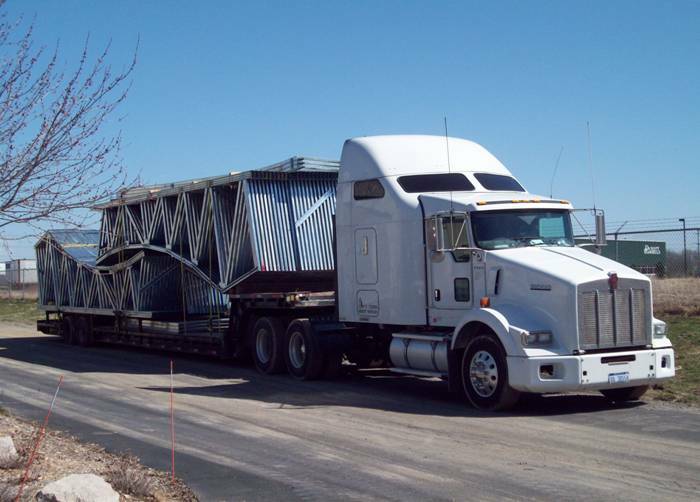 Truss systems are, by nature, technically involved so we focus on service with technical expertise at every step of the way and we offer all the associated services and accessories needed to deliver these systems. 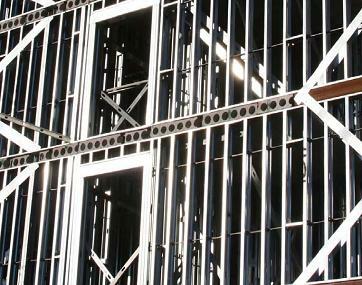 Pre-fabricated wall panels are typically used in mid-rise structures where the walls are carrying heavy loads, and the compression assembly and precision of a shop environment are needed. Wall panels are also a good way to reduce the amount of labor that needs to happen on site, expediting schedules and keeping housing and travel costs down in remote locations. SCS brings truss, wall, and floor systems together with structural engineering services to offer customized turn-key systems for mid-rise structures. We compare construction systems and load path options--considering both proprietary and generic systems--to ensure the best possible result for the client. Engineering services are provided by SCS Engineering, PLLC or Steel Construct Systems Engineer, PLLC.